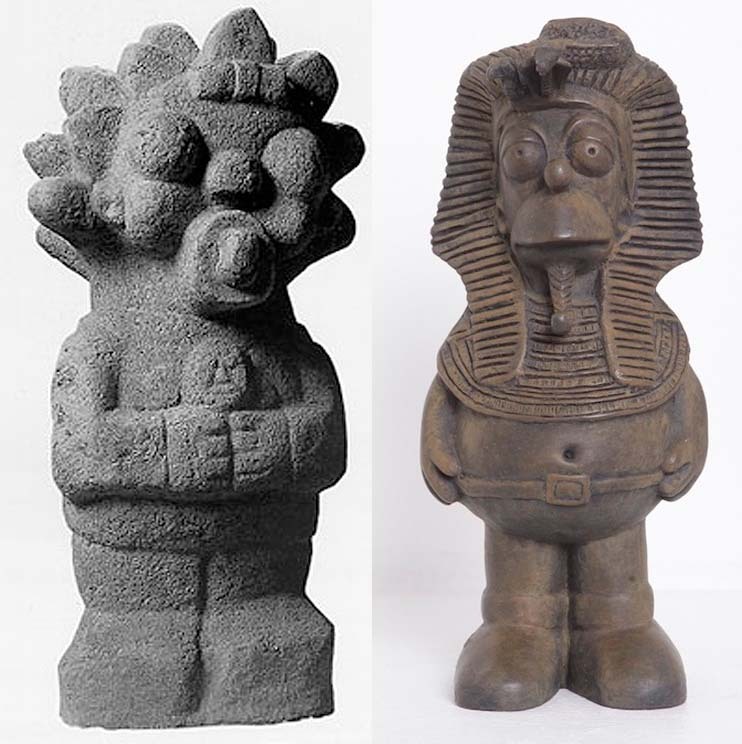 Colombian artist Nadín Ospina was inspired to create Pre-Columbian style statues after unknowingly buying fake Pre-Columbian pieces. Much of Ospina’s work combines cartoon characters from U.S. mass entertainment culture with Latin American and Pre-Columbian artistic traditions. 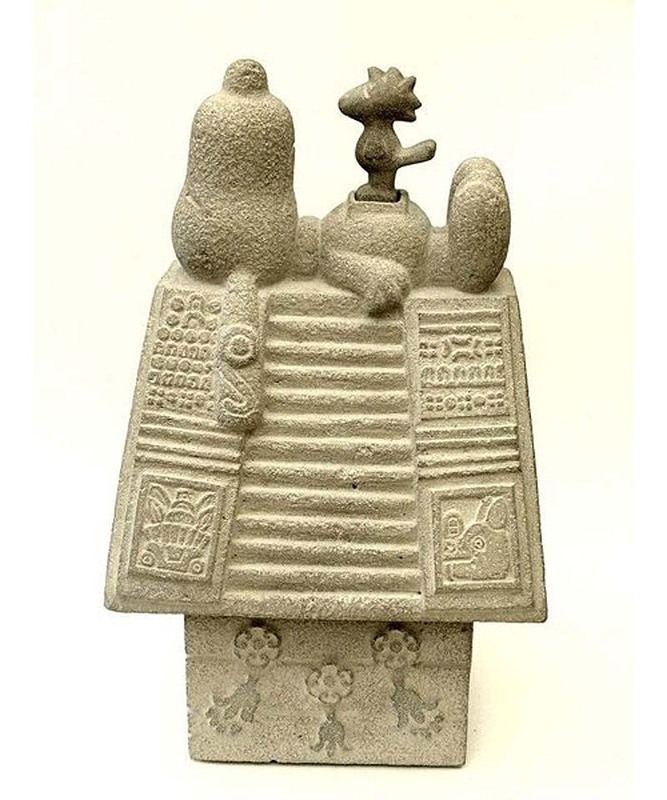 The result are stone statues of Snoopy, Mickey Mouse, the Simpsons and a host of other familiar cartoon icons. Using Aztec, Mayan, or Incan art forms with pop-culture imagery in an ironic and humorous manner, Ospina touches on themes of corruption and globalization. Some of Nadín Ospina’s work will be on view as part of a group show titled Pre-Columbian Remix at the Neuberger Museum of Art at SUNY Purchase from April 28 to July 14, 2013. Photos courtesy of the artist, galeria animal, and artnet.